Whew. There are some days (weeks, month, occasionally a year?) when life is so busy, I feel like my head is spinning. Like life is a three ring circus. It’s like I am a juggler with too many balls in the air. Sometimes this overwhelming feeling comes at a time when there are seriously tricky and sometimes painful challenges in life. There have been times of illness in the family, financial crisis, moving, grief, new babies. These are the kind of things that arise without warning, and have to be accepted and dealt with. I have a large family. This includes kids, grandkids, my own family of origin, and those of my significant other. Birthdays. Weddings. Holidays. Graduations. All good. Then there’s the exercise thing that everyone keeps tell me is vital. I try to believe this (though it does not come naturally) and I’m trying to be vigilant. But this also takes time. I work three part time jobs at this stage of my life, all of which I love. All of which take a lot of time. All of which I refuse to give up. Including my writing. Especially my writing. Then there’s the normal life stuff like cooking and shopping and cleaning (I have heard cleaning is important, though you would not think I believe it to be so if you saw my house right now as I write this). Add friendships and socializing and the fine art of coffee drinking. Then there’s this little thing called sleep. Sigh. Each day, I’m trying to have a plan, to evaluate the hours as they fly by, trying to figure out where the time goes, and what to do about the shortage of it. 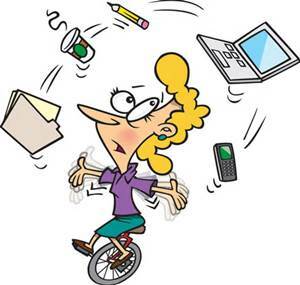 I feel like I am juggling. I feel like I am never quite done one thing before I must leap to the next. Some people seem to do it so much better than I feel I do. I know we each get the same 24 hours in a day. So I know I need to either better manage my time, or just accept the whirl wind that I am seeing as life these days. How about you? Are you living at warp speed or have you got it under control? Any suggestions? Christine Bush is an award winning, USA Today Bestselling author who has written many books and novellas of sweet romance and light mystery. She also writes Middle Grade Fiction. When she isn’t writing, she can be found working with clients as a Marriage and Family Therapist in private practice, or teaching Psychology at a local college. She lives with her family and two crazy cats in northeastern Pennsylvania, and loves to hear from readers and aspiring writers. Her latest novella “Christmas Laurel”, is a sweet holiday romance. 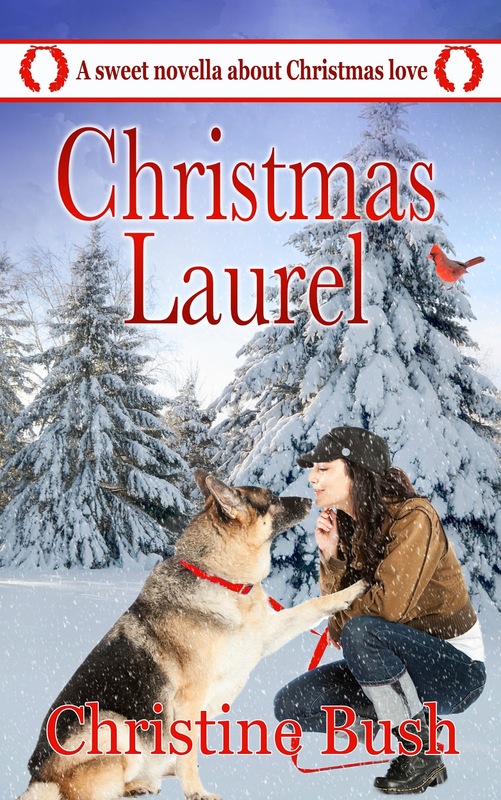 Laurel, a retired veteran who is healing from PTSD, takes her retired bomb dog “Duck”, and attempts to avoid both her memories and the Christmas season. She travels to a cabin in the Smoky Mountains in North Carolina, looking for quiet and calm. But she didn’t expect to find the handsome mountain man in the next cabin who is healing from his own hurts. I hope you enjoy this heartwarming story of love and healing. It’s available in ebook and print. Christine, I can so relate. It seems like I'm constantly battling the clock.